Even if the economy caused the shrinking of the labor market, there are still ways and opportunities for successful and profitable investments. Touchstone Snails provides self-employment opportunities for people seeking consistent revenue and an alternative, but profitable job. 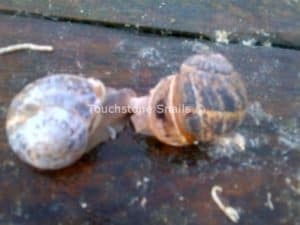 Touchstone Snails thanks to its hands-on experience and high quality academic knowledge, provides comprehensive services to anyone wishing to invest in a snail farming at home. Our company’s snail-farming professionals, with world-class expertise and experience, regularly visit our client’s snail farms to provide them with consultation and support on how to make a snail farm and properly and efficiently managing their state-of-the-art snail farms. Touchstone Snails is committed to assisting you by providing comprehensive integrated business consulting services. Touchstone Snails is breaking new ground again, presenting an innovative new snail breeding method: the curtain method. Using the curtain method in a snail farm has a lot of advantages, mainly pertaining to the better management of snails as well as the facility’s hygiene. With the use of the curtain method, snail feces fall to the ground without coming into contact with the snails. In addition and very importantly, this method ensures satisfactory ventilation conditions, which, in turn, prevent diseases from being spread. The curtain method has zero impact on the snail’s life cycle. Snails do not need to be placed in a horizontal position; they can move, mate or sleep just as comfortably in a vertical position or, even, upside down. The curtain method makes daily inspections and tasks much easier for the snail farmers since the snail breeders have visible contact with all snails at all times without disturbing them or without being required to bend over in order to lift the breeding pallets. This way, there is a clear picture of the stages of fertilization, birth and offspring development. Also, it is much easier to trace and remove dead snails, which should be disposed of on a daily basis in order to ensure a clean farm with good hygienic conditions, not only in a small scale snail farming but also in a large scale snail farming. 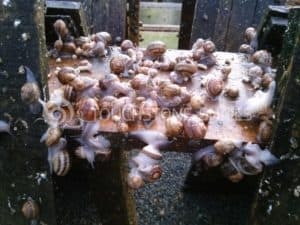 The curtain method makes snail harvesting simpler, since snail farmers do not need to keep bending as would have been the case with breed pallets. In our experience, snail farming based on the curtain method has undoubtedly many advantages, most importantly, in terms of hygiene and, secondly, in terms of cutting short the time required for snail farming tasks and rendering them easier. Perhaps the only disadvantage is the higher construction cost versus other farming methods. However, taking into account that just one fifth of the plot is required, since the curtain method-based snail farming results in a five-fold increase of the breeding area, an area of 1,000 square meters can provide us with a 5,000 square-meter farm. As a consequence, this leads to an accelerated write-off of the extra capital required. 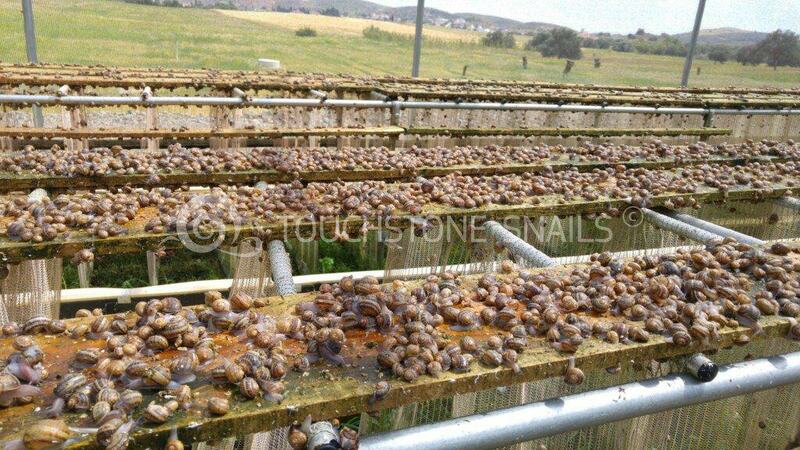 By faithfully implementing Touchstone Snails’ know-how, you can have about 26,000 kg in an area of 1,000m2. The High nest method is no longer available. help the selective harvesting of snails. 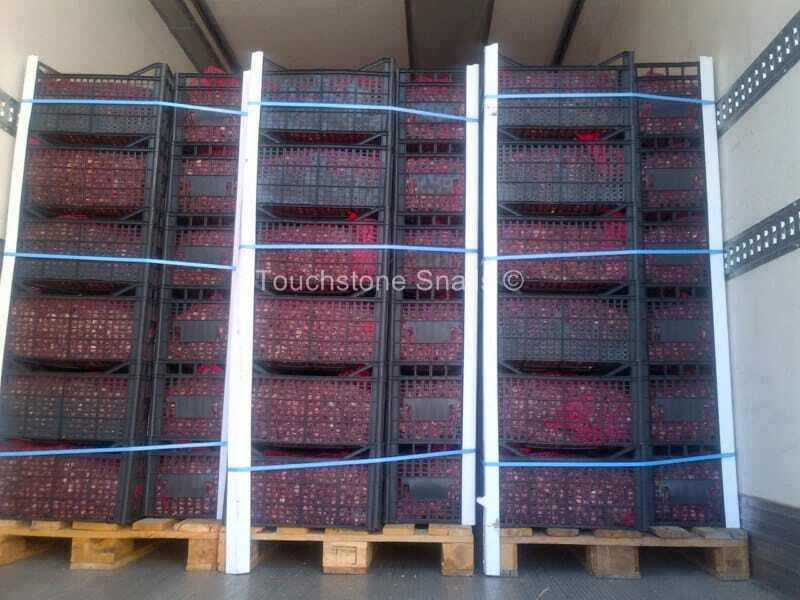 By faithfully implementing Touchstone Snails’ know-how, you can get more than 6,500 kg out of an area of 1,000 square meters. You can construct and install your farming facility on your own. We offer all the materials, ready-to-use and delivered to your plot. Helix Aspersa Muller snails, mature and certified as breeder snails. Stainless steel electric film for integrated protection of the snails and snail offspring. Power supply appliance for the SNAIL BARRIER fence. Special, dry natural feed that contributes to the fast growth of snails. Special software program for the manage of the production cycle on the internet. Touchstone Snails always advises you to make a decision based on your own needs. 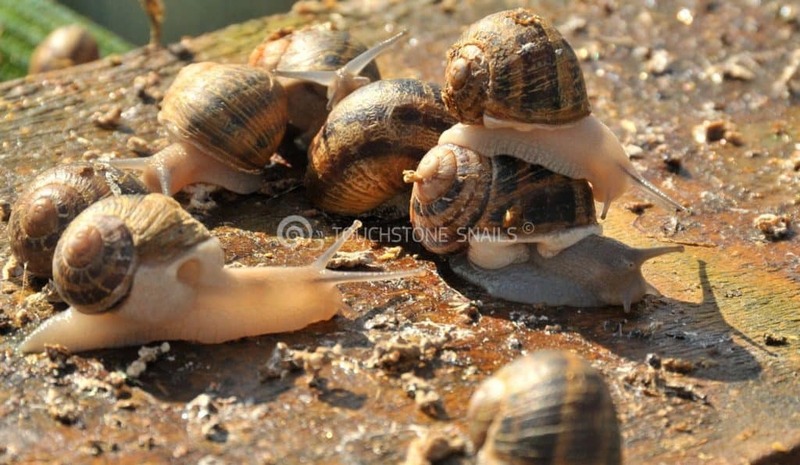 Touchstone Snails offers you an agreement in writing, thus ensuring our long-term cooperation. Upon signing of the agreement, a Touchstone Snails consultant will visit your grounds within three business days and with your cooperation, the project will begin. Our company’s consultant will be in touch with you whenever you wish, offering day-to-day support until completion of the snail farming unit (in terms of construction). 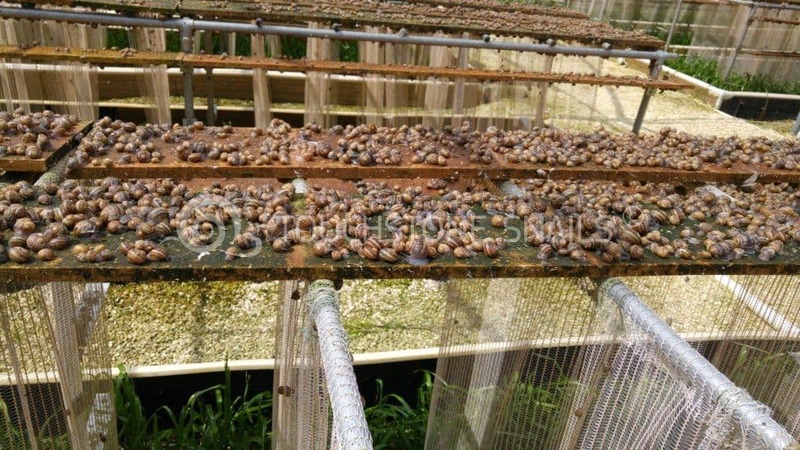 The production process is the most important and difficult part of snail farming. Touchstone Snails will be right by your side on a 24/7 basis, providing you – through a modern online software program – with management of your unit, offering day-to-day monitoring and support. We offer a contract for the purchase of the production to all collaborating snail farmers. This way, the purchase of each farmer’s entire production at the best price is fully ensured. Touchstone Snails is registered in the Register of Traders/Businesses who are active in the intra-community trade for snail trade purposes, with reg. no ΜΜΕΖ 466. 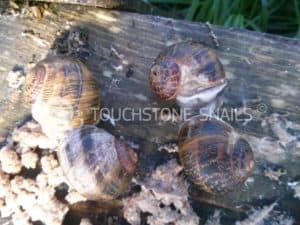 Our company exports snails to European countries from snail farms that operate under the professional guidance of Touchstone Snails and are equipped with an Approval Certificate. We supply the European market with superior quality snails and are well known for our consistency and service. 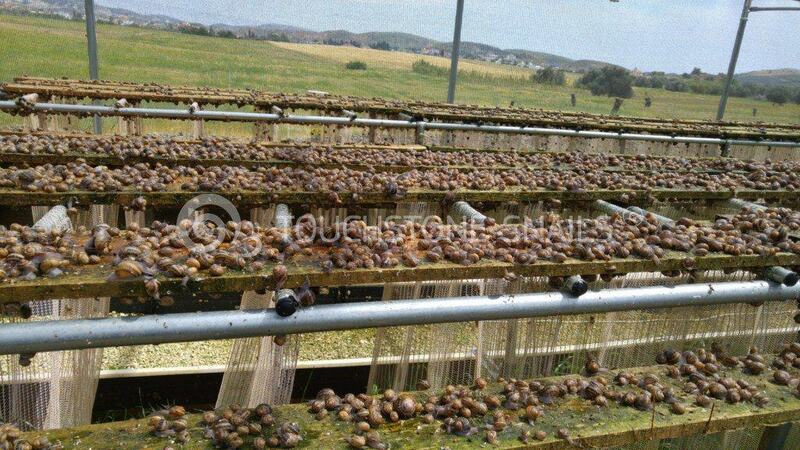 Today, Touchstone Snails has founded Touchstone Snails Processing with its own snail processing plant.